Below is a comprehensive list of hotels in Cotehele. Use the sort links to refine your search or to find featured accommodation in Cotehele. Many of our hotels in Cotehele feature no booking fees and best price guarantee when booked through the Pictures of England website. To list your hotel in Cotehele, click here. Boxwood offers pet-friendly accommodation in Calstock, 49 km from Torquay. This cottage offers a seasonal outdoor pool and free WiFi. The unit equipp.. The family-owned Tavistock Arms is situated in the heart of Gunnislake in the Tamar Valley, an Area of Outstanding Natural Beauty. 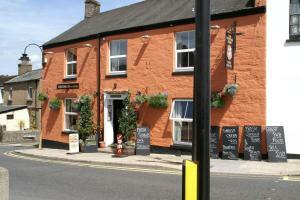 The hotel is just a..
Garden Cottage offers pet-friendly accommodation in Gunnislake, 2.5 km from Morwellham Quay. It provides free private parking. A dishwasher, an oven ..
Chilsworthy Farm Cottage is a holiday home located in Calstock, 19 km from Plymouth. It provides free private parking. A dishwasher and an oven can b.. The Stables is a holiday home with a garden, set in Calstock. The unit is 47 km from Torquay. There is a dining area and a kitchen. Towels and bed li.. The Smithy is a holiday home set in Calstock in the Devon Region and is 47 km from Torquay. The unit is 16 km from Plymouth. There is a dining area a..
On the banks of the River Tamar, the family-run Pentillie Castle and Estate offers woodland gardens, free Wi-Fi, and a games room. With free parking, ..
Toad Hall is a holiday home with a garden, set in Tavistock in the Devon Region. The property is 47 km from Torquay and boasts views of the garden. T.. 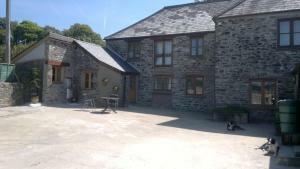 The Granary IV offers pet-friendly accommodation in Gunnislake. The holiday home is 4.2 km from Morwellham Quay. Free private parking is available on ..
Set in Calstock in the Devon Region, this holiday home is 48 km from Torquay. It provides free private parking. The kitchen is fitted with a dishwash.. 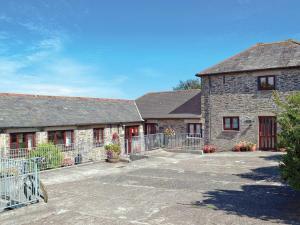 Located in Callington, The Stables IV is a holiday home featuring a barbecue. The property is 21 km from Plymouth and free private parking is availabl.. 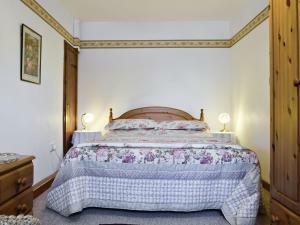 Located in Callington, this holiday home is situated 21 km from Plymouth. The property is 47 km from Padstow and free private parking is available. A.. Situated in St Mellion in the Cornwall Region, this holiday home is 15 km from Plymouth. The property boasts views of the garden and is 46 km from Pad..
Badger is a holiday home set in Tavistock, 21 km from Plymouth. It provides free private parking. There is a dining area and a kitchen equipped with .. Located in Calstock, this holiday home is set 46 km from Torquay. The property features views of the garden and is 9 km from Plymouth. An oven and a .. Located in Buckland Monachorum, this holiday home is set 44 km from Torquay. The property features views of the garden and is 14 km from Plymouth. Th.. 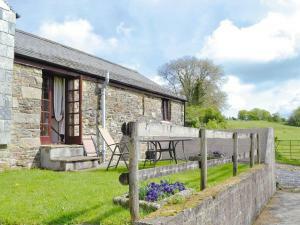 The Old Forge is a holiday home is set in Gunnislake is 7 km from Morwellham Quay. Free WiFi is offered throughout the property. The kitchen is fitte..